In stock. Order in the next 8 hours, 43 minutes and it will go out today! Demonstrating control over life and death is one of the most powerful things you can do. In this comprehensive DVD, Wayne Houchin (Sinful, Thread and Stigmata) takes you through the entire effect - from incredible live performances to the technique and the subtleties that allow you to transform this routine from a trick into a miracle. Effect: A volunteer holds your wrist and takes your pulse. They feel your heart beating a steady rhythm and you ask them to count along with it. You close your eyes and take a deep breath. Your volunteer feels your pulse gradually slow down and completely stop. Nothing. After a few deep breaths your heart starts beating again and they feel your pulse gradually return. Control is entirely safe and requires no gimmicks. Nothing is placed under your arm and the effect may be performed at any time. Originally released through Theory11, CONTROL instantly became an international success. This Special Director's Cut has been re-mastered and loaded with new ideas, new interviews and more. Featuring Daniel Garcia, Dexter (Criss Angel: Mindfreak), and the triumphant return of Randall. BONUS EFFECT: Also featured on the DVD is Stop - a technique created by Daniel Garcia that allows someone to hear your heart slow down and stop. Safe and impromptu. 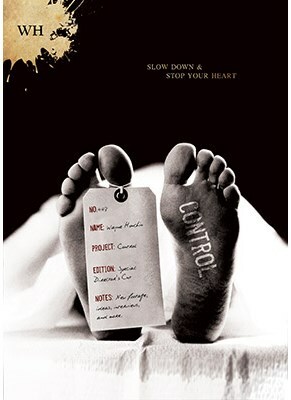 By carefully using the secrets revealed on this DVD it is entirely possible to convince a crowd of people that you have the ability to completely stop your heart.